Ideally situated in the centre of town, within walking distance to shops, restaurants and beach, but also in a quiet location. Malcolm and Judy have been greeting guests to their establishment for many years and pride themselves on the friendships they have developed with clients many of whom return year after year. 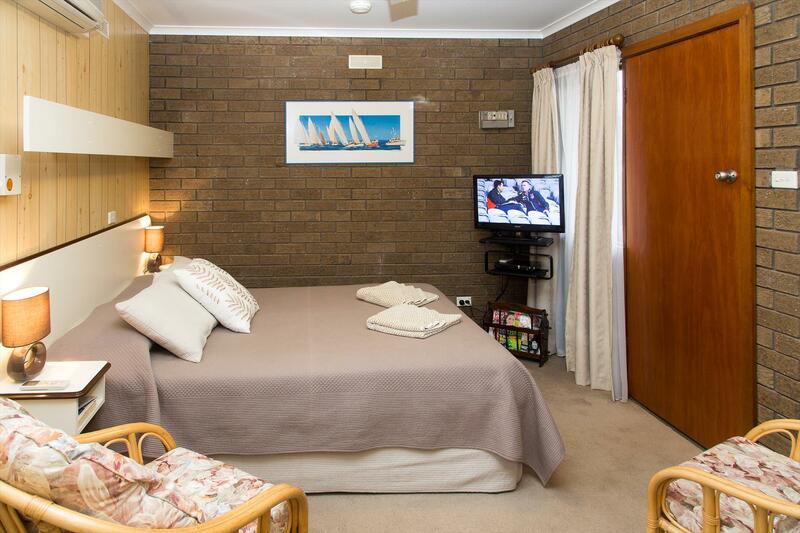 This 2 bedroom fully self contained apartment has two separate bedrooms, one with a queen size bed, the other has two single beds (on the floor-not bunks). It can accomodate up to 2 adults 2 children, NOT 4 adults. Cots and high chairs available at no charge. No breakfast included. Nightly tarrif covers 2 adults 2 children. 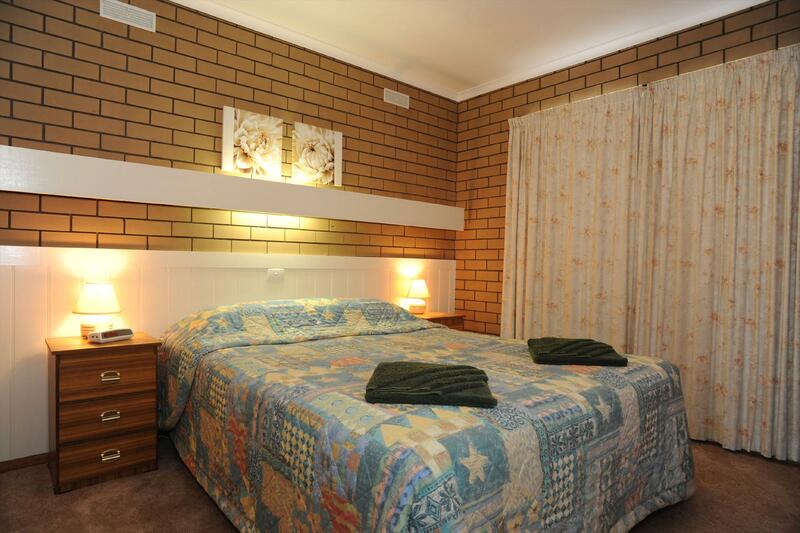 one bedroom fully self contained apartment with a queen size bed in the bedroom. Can put a single in for a child at a charge of $15. Cots and high chairs available at no charge. Separate living area with full kitchen, bathroom and laundry. studio apartment is a combination bedroom/lounge/kitchen area with separate laundry and bathroom, suitable for couples (or a single) only. Queen size bed, with telly and dvd player overlooking the bed. Fully equipped kitchen. Cancellations made up to 7 days before check-in will incur an administration fee of $25.00. 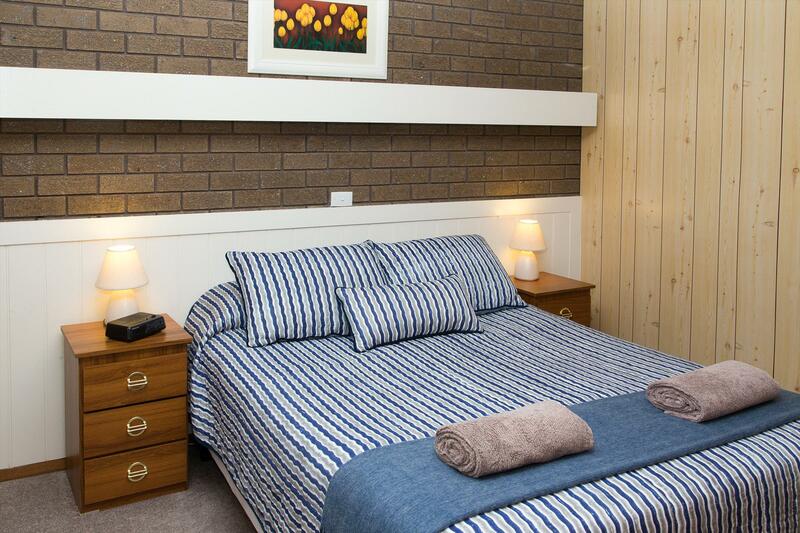 Cancellations made outside the required notice time will incur a charge of 1 nights accommodation. Customers arriving with extra numbers will have their reservation cancelled and money forfeited. Facilities are for paying guests only i.e. pool spa and BBQ and as we are only a small complex customers are asked to keep noise level down and any visitors to vacate the premises by 10.00pm.